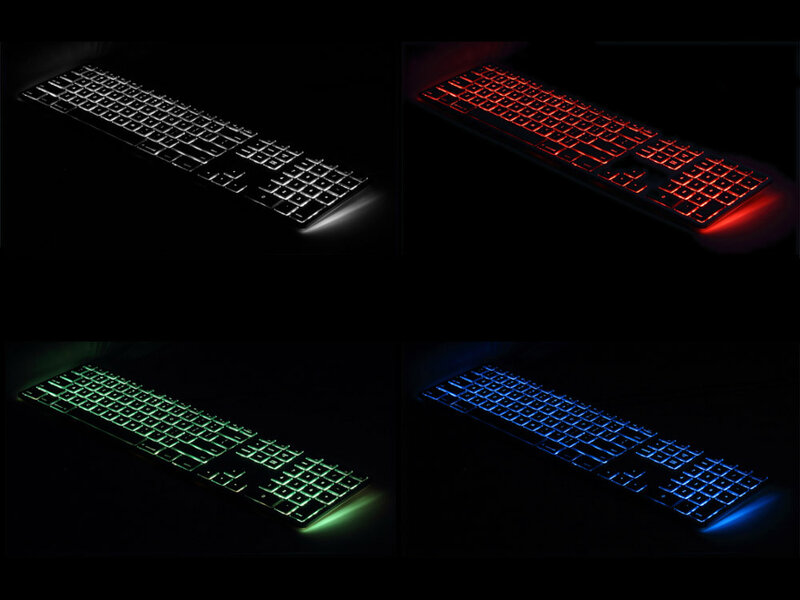 It's the keyboard many have wanted, but Apple never made - a wired RGB backlit keyboard, in beautiful aluminum. It's the ultimate in simplicity & flexibility. Excellent keyboard, the space grey finish is close to that of the MacBook. There is a good amount of travel in the keyboard making typing a pleasure - much better than the MacBook Pro keyboard. Highly recommended keyboard and service. The build quality and finish of this wired keyboard are excellent. It looks stunning in Space Grey, and the casing is a close enough match to the finish of my 2012 MacBook Pro. I had considered buying the Apple product, or an alternative Matias model (- white keyssilver casing), but I am glad I chose this one. In use, the keys feel very tactile and have just the right amount of travel - as good as the MacBook's keyboard. Although I have got used to the Macbook's keyboard layout, it's nice to have a numeric keypad once again. The bonus is the controllable range of backlighting levels and colours. Very pleased! 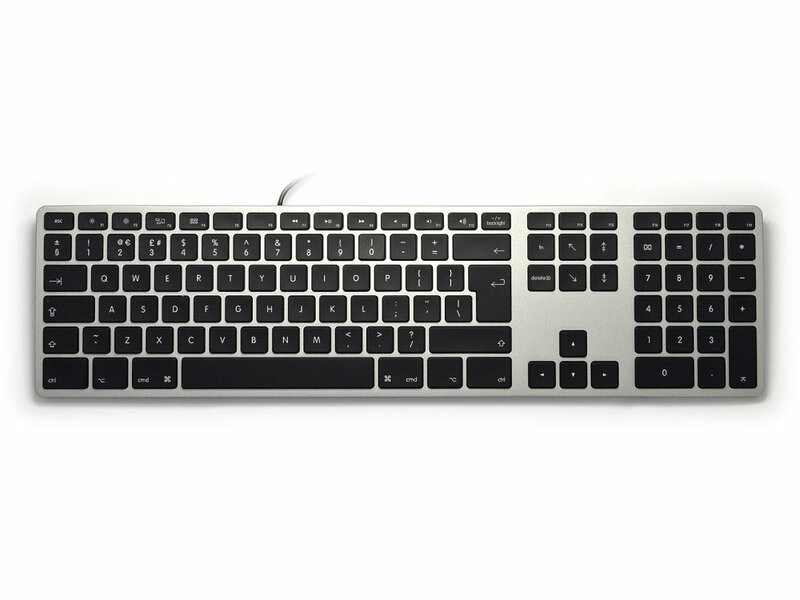 Awesome replacement for the wired Apple keyboard and its available in space grey into the bargain. Would have been 5 stars but the fact you have manually turn on the keyboard backlighting every time you start the computer is irritating.